. Published on 十二月 7, 2017 . Everyone is jumping on AI and its advancements and growth in popularity in the recent years have proved a valuable opportunity for businesses and households. Big industry players have already made strides in research, and some of the largest tech companies in the world have been investing in building their own AI framework, making it accessible not only to enterprises but also independent developers. Large tech companies are harnessing the power of AI as more research developments are making strides in improvement in artificial intelligent technology. The success of its Echo products spurred Amazon to put Alexa into a wider range of devices such as lamps, speakers, clocks, and cars. Earlier in 2017, Amazon launched a smart Wi-Fi speaker that uses voice recognition to not only respond to commands, but also display what it sees. It is a 7-inch touchscreen-equipped digital assistant called Echo Show powered by Alexa that allows you to connect home appliances and accessories. Amazon wants its technology to be the dominant voice computing platform. To that end, the company is making its voice control technology available to all and is giving developers the ability to access the power tools used by Alexa. Amazon Lex combines speech recognition, text recognition, and conversational interactions to make it easier for tech companies to integrate voice or text-based chat interfaces for their apps. Google Assistant has been making large technological strides recently. 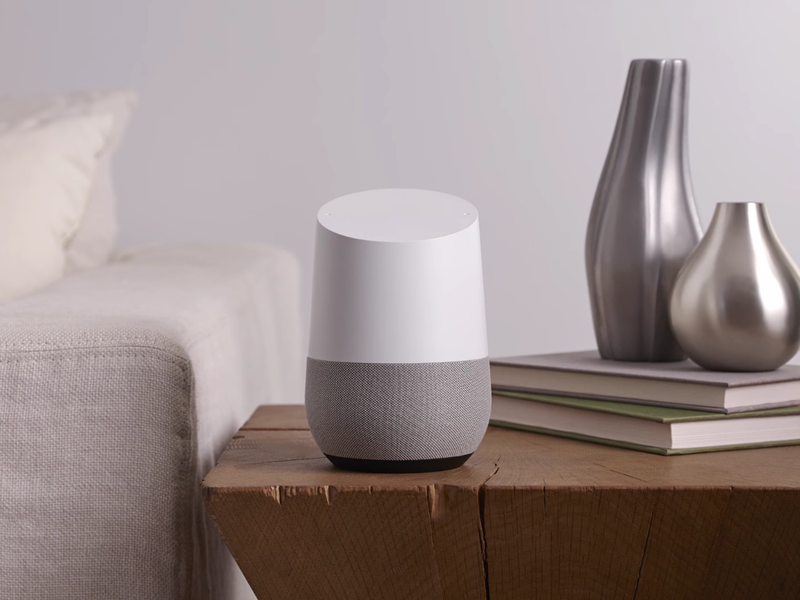 In response to the Amazon Echo, Google Assistant is similar to Google Now, but the service goes beyond your phone and is integrated into Google Home. It operates in multiple languages and offers more games and activities, including a partnership with Target that allows users to order Target products using voice commands. Google Assistant also responds to voice commands and text commands, which give users the ability to use its services anywhere their phone goes, even on an iPhone. Finally, in an effort to be more versatile and expand its reach, Google also launched Google Assistant on Android TV earlier this year. Despite its short-lived AI bot Tay, (who was released online through various social media platforms and then taken down within 24 hours after Twitter users corrupted the chatbot by teaching it racist and sexist terminology), Microsoft believes its AI technology and its ability to create chatbots with conversational capabilities sets it up to become the bot platform for companies already using Microsoft tools. Microsoft released two AI-powered chatbots in the last few years: Xiaoice in China in 2014 and Rinna in Japan in 2015. It also debuted Unibot, which allows students to manage their courses and pay their university. Microsoft targeted Unibot towards non-English speaking students trying to navigate American university websites. In addition to launching their chatbots and integrating the AI-assistant Cortana into their products, Microsoft launched Bot Framework in early 2016, which give developers the tools they need to create chatbots using Microsoft’s AI technology. Similarly, Microsoft’s Cognitive Services will let businesses build customizable chatbots. Watson is a cloud-based AI platform that provides optimal performance and services that can be used to build custom chatbots. The underlying AI technology is available to developers and clients to build, test, and deploy bots or virtual agents across mobile devices and messaging platforms to imitate natural conversations between users and their apps. 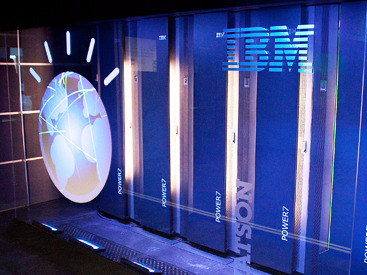 In 2016, IBM released the Watson Conversation, a cloud-based cognitive system that makes its possible for developers to custom build a chatbot, or to incorporate one within a business. For example, Staples integrated Watson Conversation into their “Easy System” to create a seamless office supply ordering interface. Earlier this year, Twitter deployed a way for advertisers to promote ads designed to pull consumers into personalized experiences within Direct Messaging, which includ es interactions with chatbots. By adding a “Direct Message Card,” consumers can use it to connect with businesses. Businesses can also customize the card with an image or video. The cards should help businesses to reach out to more potential customers, as well as prompt customers to re-share the experience through a tweet following their interactions with the bot. Microsoft also unveiled a bot framework and chatbot for Skype where Cortana was integrated directly into the app where she could identify the people, places, and things in your messages and display more information in a more user friendly interface. More recently, they also added support for chatbots to LinkedIn to help users look for and start conversations with appropriate connections. Chatbots for business will continue to improve in the coming years. Chatbot architecture and design will evolve to the point that interactive AI will become standard for customer service. But there are numerous applications for chatbots across a variety of sectors.